TORONTO (Reuters) -- Ford Motor Co. has rejected a proposal to invest in engine plants in Windsor, Ontario, and decided to put the money in Mexico as the automaker originally planned, the head of Canada's autoworkers' union said. 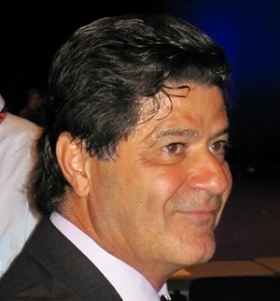 Unifor President Jerry Dias told Reuters today that a "last-minute" effort was made to divert the program to Canada, but failed. Ford said in a statement: "For competitive reasons, we cannot discuss future manufacturing or product plans." Unifor said the program would have created 1,000 new jobs in Windsor, one of Canada's auto manufacturing hubs, located just across the border from Detroit. The Globe and Mail reported today that the investment could have been about C$2 billion ($1.8 billion). In late August, union leaders told local media that they had started discussing new investment in Windsor. Mexican plants can have much lower costs, but Canadian unions often argue that their workers are skilled and experienced, and building a new facility is typically more expensive than upgrading an established site like Windsor. Unifor, Canada's largest private sector union, urged Ontario and Canada's federal government to do more to support manufacturing. Ford worked with Ontario and Ottawa to explore government incentives to help fund the investment, but Chris Taylor, president of Unifor Local 200, told the Windsor Star that those negotiations didn’t come through. A spokesman for Industry Minister James Moore confirmed Ford asked both the federal and provincial governments for funding. "After weeks of discussions, it was determined that the terms laid out in Ford's proposal were not in the best interest of Canadian taxpayers," said spokesman Jake Enwright. "We support projects that secure high-value jobs and deliver long-term economic benefits to Canada and the terms laid out in Ford's proposal did not meet those objectives." The Ford Windsor and Essex Engine plants employ about 1,300 hourly workers, and the investment would have taken more than 400 worker from layoff and ensured the long-term future of Windsor’s plants, Taylor told the Windsor Star. “The value to us was a future with a good product, jobs for the people on layoff and a bright light for a community that sorely needs good news,” he said. On Oct. 1, Ford said it was adding 1,000 jobs at its Oakville Assembly plant, west of Toronto, which will produce the 2015 Ford Edge crossover utility vehicle. Last year the company announced a C$700 million investment in the Oakville plant.